HIT! 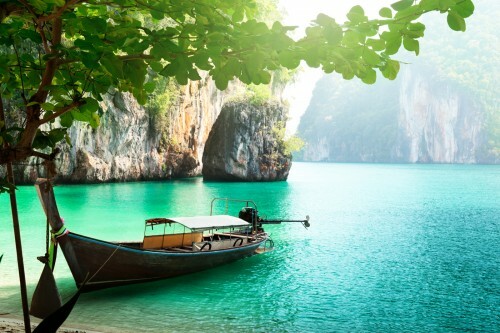 Super cheap flights to Thailand: Phuket for €253! If you want to escape start of the cold weather in Europe you have a perfect chance now with these bargain flights to Thailand. Return flights from London (Gatwick) or Manchester to Phuket in Thailand are now available for only £219 / €253! Regular price of flights to Thailand is around €500 so you can book these tickets with 50% discount! These are also direct flights so you don’t waste any time with transfers! Getting to London or Manchester is easy from anywhere in Europe, use Momondo to find your connecting flight. 5 kg cabin luggage is included in the price, 20 kg check-in luggage is available for £60 extra, we recommend booking 1 such luggage for 2 people, it should be sufficient and will keep your price low. Hurry up and book your ticket, it will be gone within few hours!